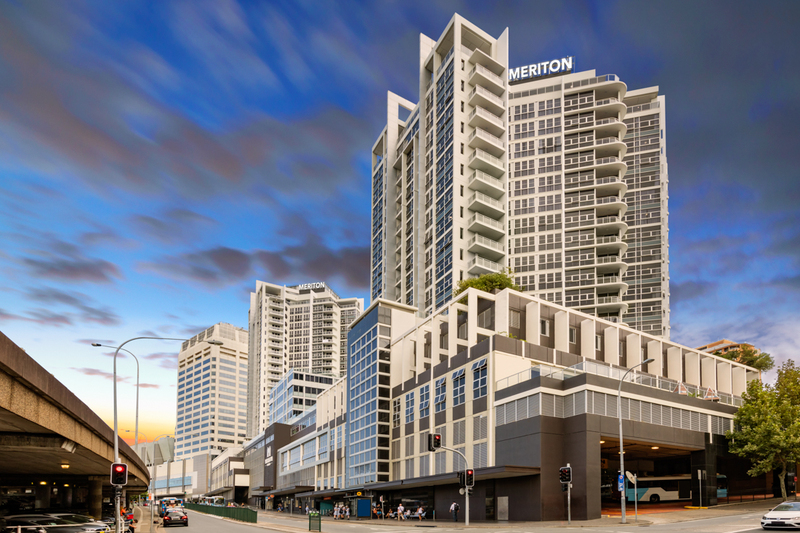 As Bondi’s largest hotel overlooking the Eastern Suburbs, you’ll be situated across three high rise towers, up to 20 floors high. All 375 of our suites have been meticulously designed to be up to three times larger than a typical hotel room, promises comfort as well as luxury, and have been carefully fitted with the finest contemporary furnishings, larger living spaces and internal laundry facilities while all 2 and 3 bedroom suites come with a second full bathroom. Our hotel suites include a residential sized, spacious gourmet kitchen – perfect to cook your favourite meals whilst you’re travelling. Each of our kitchens have been architecturally designed and include European-style appliances including a ducted range-hood, cooktop, oven, integrated microwave, dishwasher and a full-sized refrigerator. You will find all the essential cooking items and utensils to make use of the residential-style kitchen, including a complete set of glassware, crockery and cookware. Complimentary Wi-fi is available throughout our hotel including your suite, to ensure you stay connected when you’re away with those who matter the most. If you choose our Harbour Suites you’ll be lost for words as you are treated to a postcard view of Sydney’s famous city skyline. Or be captivated by the gradual glow of sunrise across Botany Bay and Bondi from all other suites. For that special occasion, you can indulge in our impeccable 3 bedroom Penthouse Collection Suites that deliver the highest level of luxury and style, positioned of course, on the top floor. With large outdoor terraces offering jaw-dropping views across the city and Sydney Harbour rarely seen elsewhere, it’ll create magical memories for years to come. When you choose to stay in our five-star Eastern Suburbs accommodation you’ll be welcomed by our exceptional Guest Services team, who’ll deliver the highest customer service standards, 24 hours a day. With Bondi Beach a quick ten-minute bus ride away and the Centennial Parklands a short walk, staying with us offers both luxury and convenience. After all, you’re in the perfect location to head out for one of Sydney’s famous coastal walks or to enjoy Sydney’s top attractions. When you need a break from the glitz and glamour of the Eastern Suburbs you can relax in our resort-style facilities with 2 indoor pools, plus a spa and sauna, whilst you maintain your fitness routine with our 24 hours fitness centres. The Eastern Suburbs are famous for glorious beaches and coastal living. Situated within a shopper’s paradise next door to Westfield Bondi Junction where you can a shopping haven filled with a line-up of high-end designers, of the incredible dining, café and bar culture throughout the suburb. Whether you’re here to rub shoulders with Sydney’s high rollers, or to catch a wave at iconic Bondi Beach, the prestigious Eastern Suburbs has everything you need to make you enjoy your time spent in one of Sydney’s most famous areas. Plus, with Bondi Junction Station located right under the hotel, it’s incredibly easy to travel to Sydney’s CBD or anywhere you want to go.